This design is for a 16-bit 1MSPS single-ended, multiplexed data acquisition system (DAQ) for dc inputs. 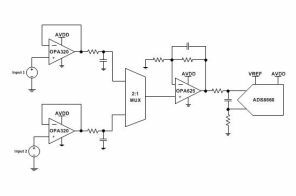 The system is composed of a 16-bit successive-approximation-register (SAR) analog-to-digital converter (ADC), SAR ADC driver, reference driver, and multiplexer. 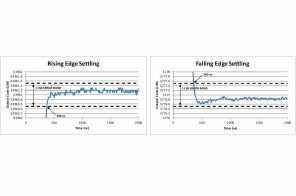 The design shows the process to optimize a single-ended DAQ to achieve fast settling at a sampling rate of 1MSPS.